5. Video: Shawn Farquhar Fool Us REVEALED -- Shawn, everyone wants to know your secrets! 4. [Guest post] Remembering Ron Leonard (1923-1998) -- Does anyone else have more memories of Ron they'd like to share with us? 3. The CAMaraderie is Back! C'est le retour de la CAMaraderie! -- Did you receive their e-mail about the official hotel? 2. Thanksgiving sale: 40% off yearly sponsorship rates! -- There's still time until the end of day today! 1. Win an "Outerbridge Lecture Bundle" -- Thanks again to the Outerbridges for making this possible! Review: Chris Westfall's "Porcelain Princess tour"
Chris Westfall brought his Porcelain Princess tour to Whitecourt last night, at the St. Joseph Community Hall. He definitely delivered! Between over-the-head discreet adult jokes, a flashy & fun persona for the kids to enjoy, diverse stage props, to the actual illusion & fun of a magic show, this was a great night. Chris had 2 personas on-stage. One was a mad scientist trying to capture & outwit a beautiful onstage dancer/magic assistant, to the actual Chris Westfall who left children & adults alike in awe. 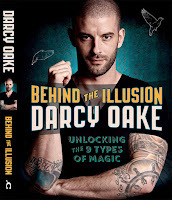 The contest to win a pair Darcy Oake tickets and his book "Behind the Illusion: Unlocking the 9 Types of Magic," closed last night at midnight. Thank you to everyone who played! If you didn't win, don't forget there's another raffle for Darcy Oake tickets going on at The Browser's Den anniversary party! Canada's Magic readers can also take advantage of a coupon code for Darcy Oake's, "Edge of Reality" in Toronto. Jenny P Taschen's "Magic 1400s-1950s"
Congratulations to Jeph who won with his optional Twitter entry! Thank you again to the Sony Centre for the Performing Arts for generously making these tickets and book available to you! Lecture at the Ring 17 meeting (Nov 5), workshop the following Saturday (Nov 7). DATE: Sunday, Nov 8, 2015. All of us here at Browser's Den would like to personally invite you to attend our 40th store anniversary party. We are so pleased that Bernice Cooper will be at the party to witness this year's worthy recipient. PLUS- In appreciation of your devotion to our shop this is the only day of the year where EVERYTHING in the shop is on sale all day long! Darcy Oake on CBC's "Q"
A reminder to enter by October 17th, our contest to win Darcy Oake's book and tickets to his show, "Edge of Reality," in Toronto. Our readers also have access to a coupon code for Darcy Oake's, "Edge of Reality" in Toronto. As children, many of us fall in love with magic — but growing up often means giving up on the illusion. Not so for Darcy Oake, who quietly trained for years before getting his big break on Britain's Got Talent. After wowing the talent show audience, Oake's life changed in a matter of days, and hasn't stopped since. Today he joins Shad to discuss the dimly-understood craft of magic as well as his new book, Beyond the Illusion. He also opens up about how his brother's death affected him as both an artist and a person. Winner of an "Outerbridge Lecture Bundle"
The contest to win an "Outerbridge Lecture Bundle" closed last night at midnight. Artemus S One of the things that impresses me most is their costuming. The theatricallity of there performances is top shelf. Farley C I really like Time of Day. It is a great twist on an old effect. Alex S Meeting Ted at the 2015 International Brotherhood of Magicians convention in Jacksonville, Florida! Ted is very personable and a real worker! Congratulations Jenny! I'll be in touch with you shortly to arrange for your prize. Thank you again to Marion and Ted Outerbridge for making this possible! Le grand gagnant du Concours International de magie "Michel Cailloux" de cette année est le jeune Philippe Thériault de Laval. Toutes nos félicitations à Philippe. Sur la photo, nous il est accompagné du magien Michael Dardant de la Nouvelle-Orléans, récipiendaire du prix 2014, Le prix était aussi accompagné d'une bourse de 2500 $. De plus, Philippe a remporté le prix coup de coeur de la Famille Cailloux avec une bourse de 250 $. Les autres finalistes étaient : Neil Crosweil de l'Ontario dans magie de scène - adulteSteven Brundage de New York dans la micromagie - adulteAntoine Côté de Blainvile dans la micromagie - moins de 18 ansEt Philippe Thériault de Laval dans la magie de scène - moins de 18 ans. This contest is now closed. The winner is announced at "Winner of Darcy Oake tickets and book." Four contests in four weeks! We are on a roll! I am excited to announce that I have one more pair of tickets to give away to my readers, to attend Darcy Oake's show, "Edge of Reality" at the Sony Centre for the Performing Arts in Toronto, Canada on Saturday, November 14, 2015. 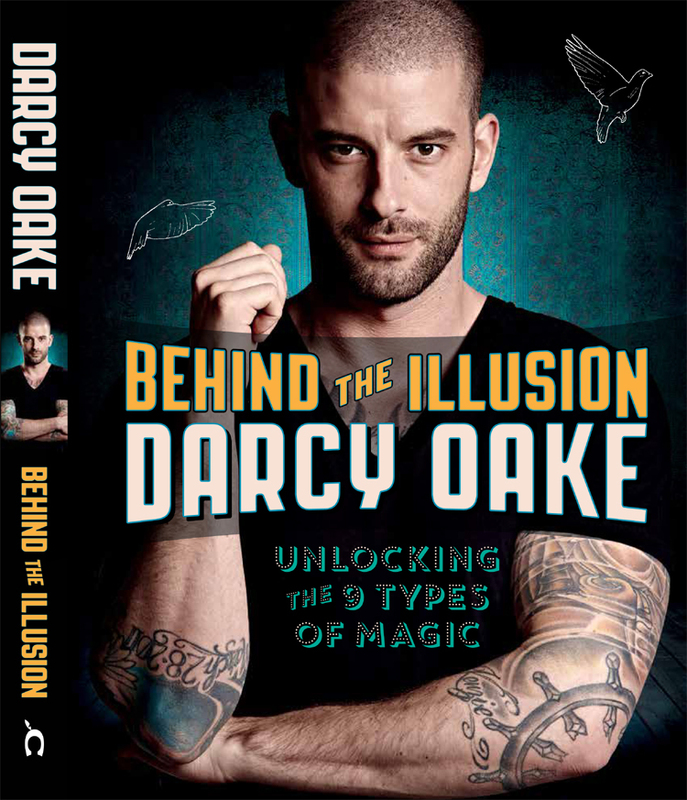 If that wasn't fabulous enough, I have also been offered a copy of Darcy's new book, "Behind the Illusion: Unlocking the 9 Types of Magic," to give to the lucky ticket winner! Darcy Oake has become a global sensation since his 2014 appearances on UK’s hugely successful television competition Britain’s Got Talent where he surpassed thousands of contestants to land among the show’s top ten finalists and win over 200 million viewers of the program worldwide. Check out his amazing audition video here. I have been offered one pair of tickets to see Darcy Oake's show, "Edge of Reality" at the Sony Centre for the Performing Arts in Toronto, Canada on Saturday, November 14, 2015. The seats are Orchestra Level (ground floor), Row M, valued at $55 per ticket. The prize also includes a copy of Darcy's new book, "Behind the Illusion: Unlocking the 9 Types of Magic." The draw results will be posted on Sunday October the 18th. 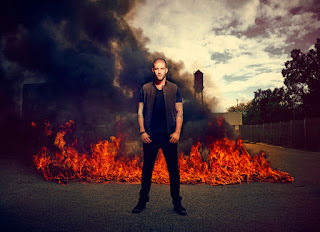 "Enter by Oct 17 to win "Behind the Illusion" by @DarcyOake & 2 tix to his TO show at SonyCentreTO via @canadasmagic. If you win, you must be willing to provide your full name and contact information for me to share with the Sony Centre, so that the Sony Centre can arrange for ticket pick up. Photo ID will be required to claim the tickets. Contest closes on Saturday October the 17th, 2015 at 11:59pm EDT. With thanks to the Sony Centre for the Performing Arts for generously making these tickets available to you! Win an "Outerbridge Lecture Bundle"
This contest is now closed. The winner has been announced at "Winner of an "Outerbridge Lecture Bundle." The total retail value is $135 U.S.
"Included are lecture notes and props for three of Outerbridge’s original, audience-tested routines that have been refined over 25 years in theatres, cruise ships, casinos, and television, as well as comedy clubs, schools and birthday parties." I have been offered an "Outerbridge Lecture Bundle" from Marion and Ted Outerbridge to give away to my readers. I will be holding a random draw to determine the winner. (There will be one winner.) The draw results will be posted Tuesday, October the 13th. If you win, you must be willing to provide your full name and shipping information for me to share with the Outerbridges. The contest closes Monday, October the 12th at 11:59pm ET. With thanks to Marion and Ted Outerbridge for generously making this prize available to you! Winner of a copy of "Morton the Magician and his Magnificent Magic Show"
The contest to win a copy of the book "Morton the Magician and his Magnificent Magic Show" closed last night at midnight. There were some great first magic books listed. Glad to see that one brave soul doubled their chances of winning by trying out the Twitter entry feature! Blackstone's Modern Card Tricks and Secrets of Magic. Disqualified: failure to prove Canadian residency. I've never read a magic book ! Congratulations Lee! I'll be in touch with you shortly to arrange for your prize. Thank you again to Sheldon Casavant for making this possible! Magic Club Free Meeting on Saturday, OCTOBER 3 from 2:30pm to 5:30pm at Browser's Den!All are welcome. Catch Eric Leclerc in MYSTÉRIC AU DÉFI le 3 Octobre a 15h au centre Shenkman a Orléans. From Eric Leclerc's Facebook page: A note to subscribers: the content of this post is embedded from another website and is not available to preview. To view the content of the post, please visit http://CanadasMagic.blogspot.com. Some of the embedded code may be visible in this notification. Thank you to our October 2015 Friends! Thank you to our October 2015 sponsors!